Although this continues Draiken’s adventures and touches Andrea Cort’s series as well, it can be enjoyed by itself and probably serves as a good introduction to both series. 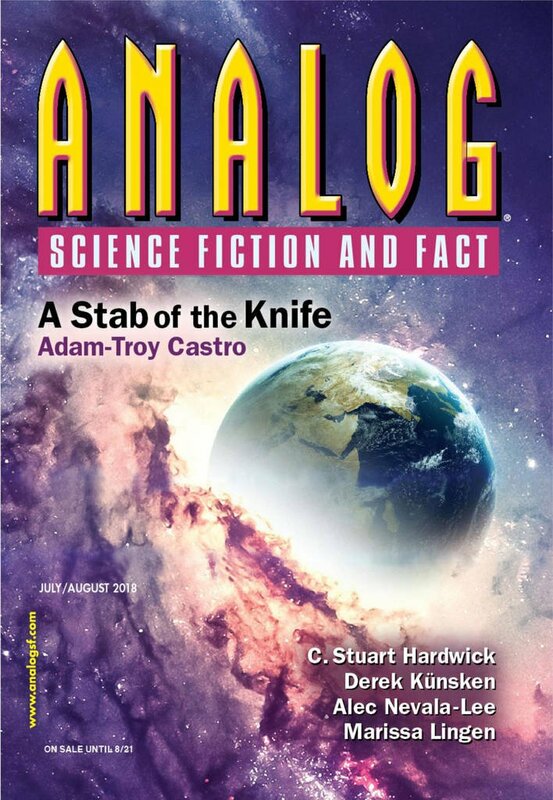 "A Stab of the Knife," by Adam-Troy Castro [bio] (edited by Trevor Quachri), appeared in Analog Science Fiction and Fact issue 07-08|18, published on June 15, 2018 by Penny Publications. Pro: Even without reading the earlier stories, one finds enough here to solidly develop Draiken, Andrea, and the Porrinyards. All come across as having issues, but we end up liking them all anyway. 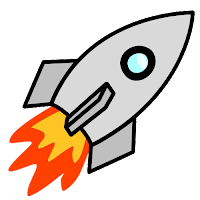 The universe contains all sorts of elements related to the mind-control Draiken is trying to stamp out, as well as plenty of cool technology, including the vast rotating cylinder of New London itself. Plus, the fight to protect the Porrinyards from being abducted has plenty of excitement. Con: This is Draiken’s story, but Andrea Cort overshadows him. He contributes to the adventure, so he’s not without agency, but he’s far from in control of what happens at any level. Numerous minor editing errors detract from the story.